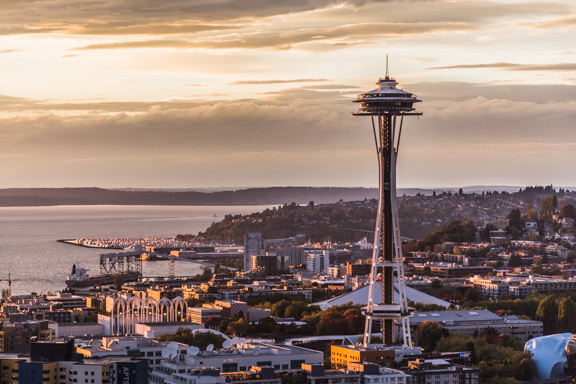 One of the things we love about living in Seattle is that it is such a photogenic city which is why we wanted to share with you some photos we’ve taken since we moved here over a year ago! 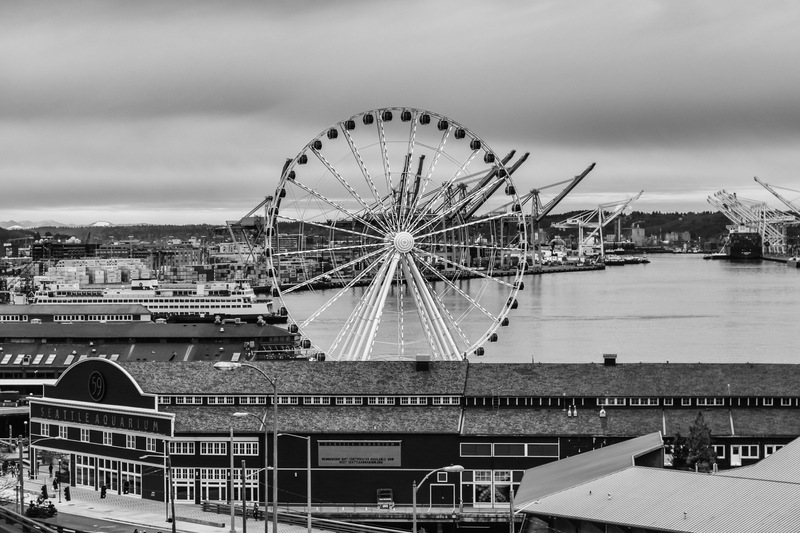 Now we normally shoot and edit in color, but this time we thought it would be fun to share our views of Seattle in black and white which we think adds a little drama! 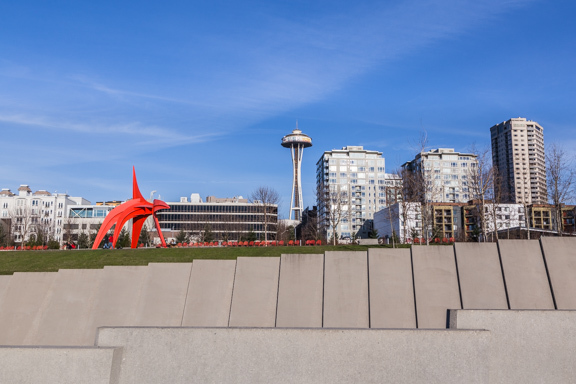 Kerry Park… We love visiting the best places to view the Seattle skyline, and this one ranks at the top! 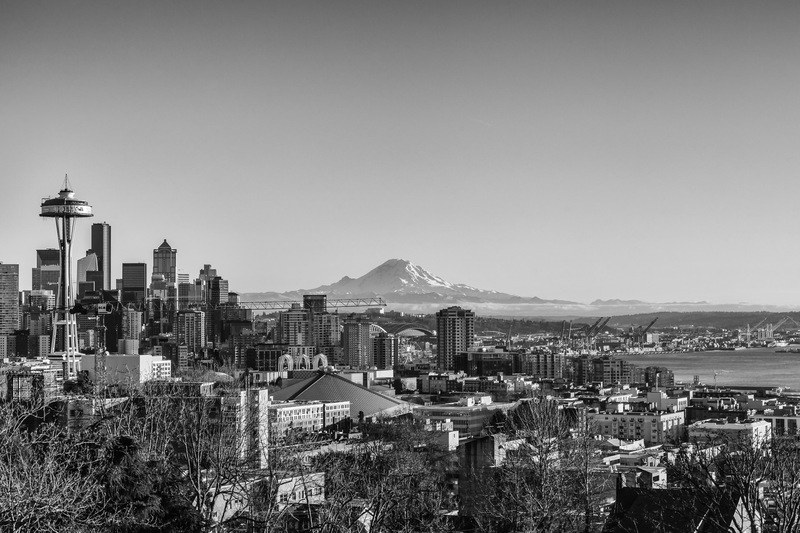 It is perched just high enough you can see the Space Needle, Elliott Bay, and Mt Rainier…on a clear day! Space Needle… We haven’t gone up the Space Needle yet, but we definitely admire its architecture especially the mosaic like details underneath it! 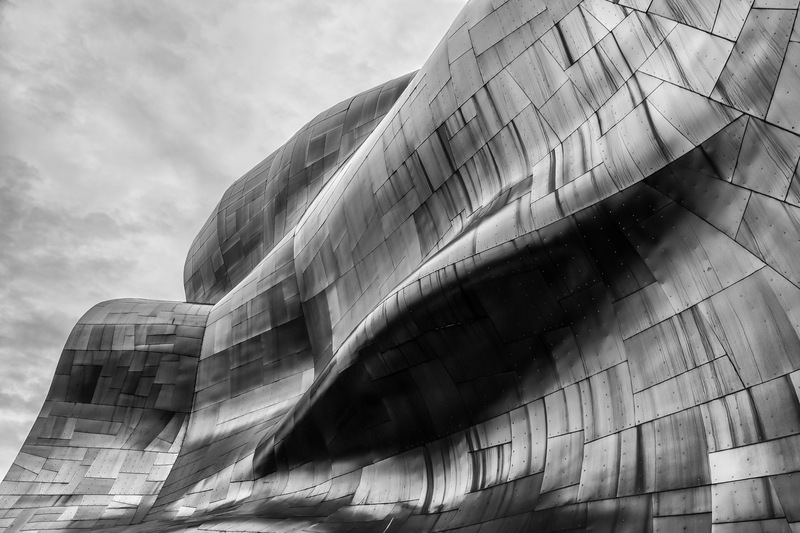 Museum Of Pop Culture… We love exploring the unique architecture in Seattle which led us to this amazing museum! The outside walls are literally like a piece of art in itself! 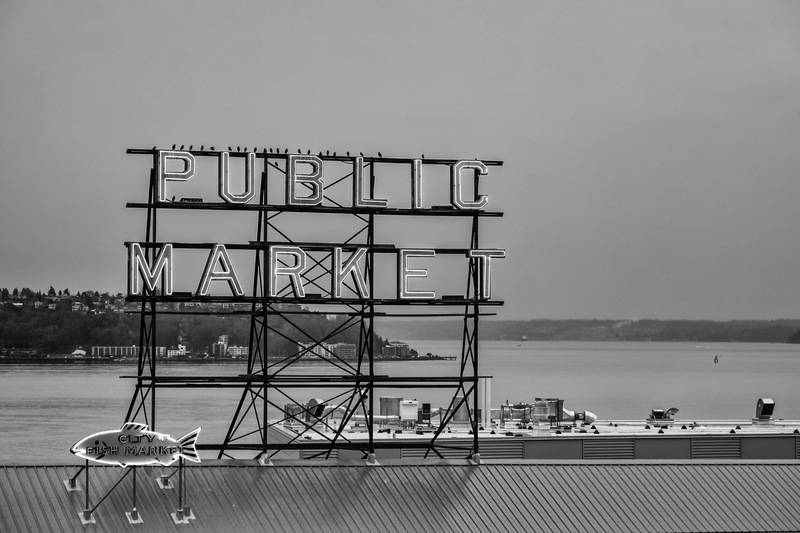 Pike Place Market… We are not a huge fan of the crowds that seem to always be at this market, but we definitely appreciate its iconic status and the amazing ocean views! 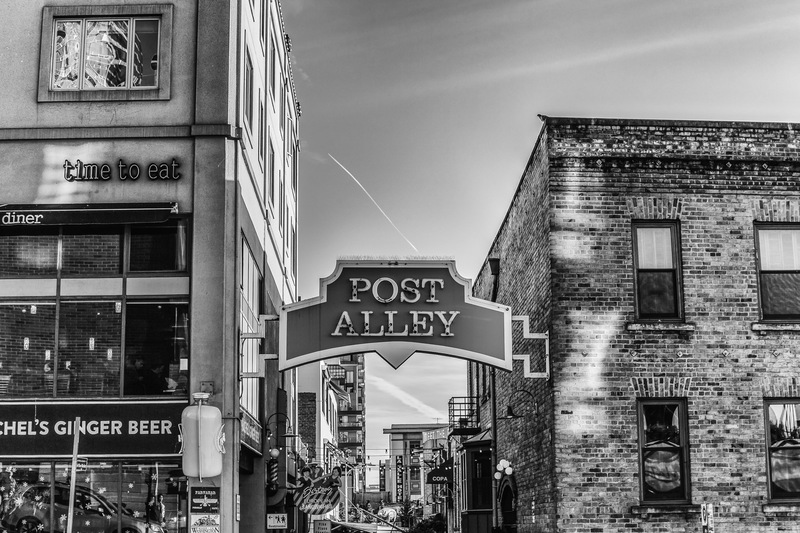 Post Alley… This alley is the perfect place to take in some historical charm in the middle of downtown Seattle…I mean who doesn’t love walking down a cobblestone street! 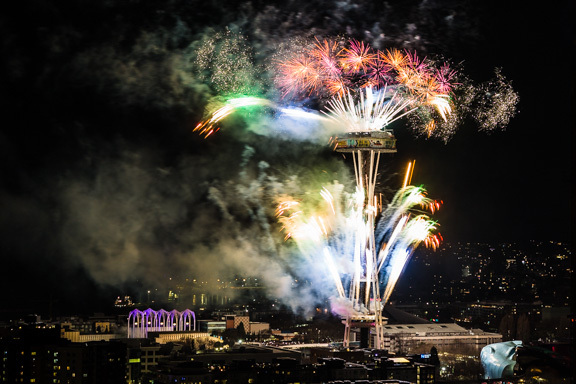 Seattle Great Wheel… This ferris wheel located on Elliot Bay is a fun addition to the city skyline especially when it lights up in a multitude of colors at night! 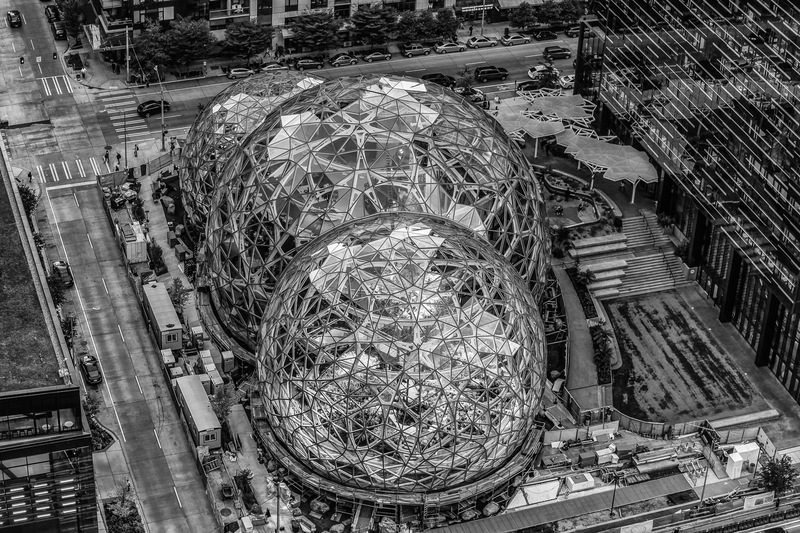 Amazon Spheres… These spheres created by Amazon are architecturally stunning! The inside is like exploring a super large greenhouse filled with the most amazing plants from around the world! 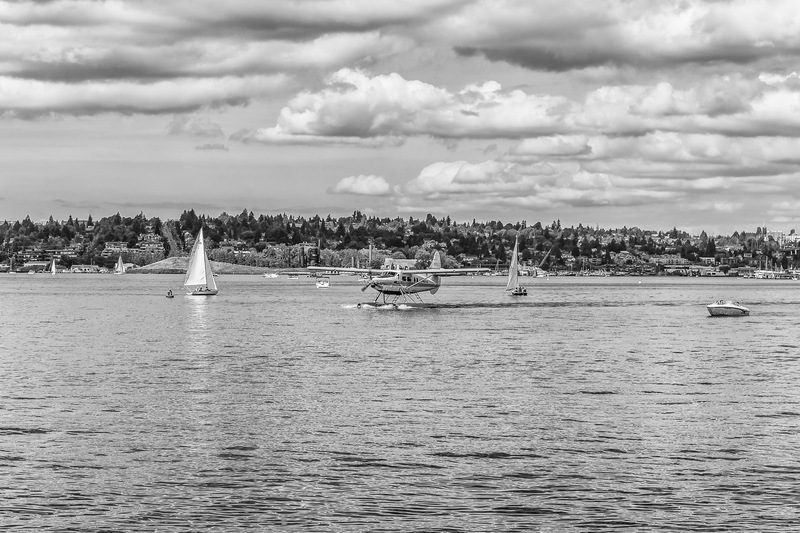 Float Plane… One of things we love to do is watch the float planes land in Lake Union! There is often a constant stream of them flying in which is just so fascinating to us especially because they do a remarkable job maneuvering around all the boats! 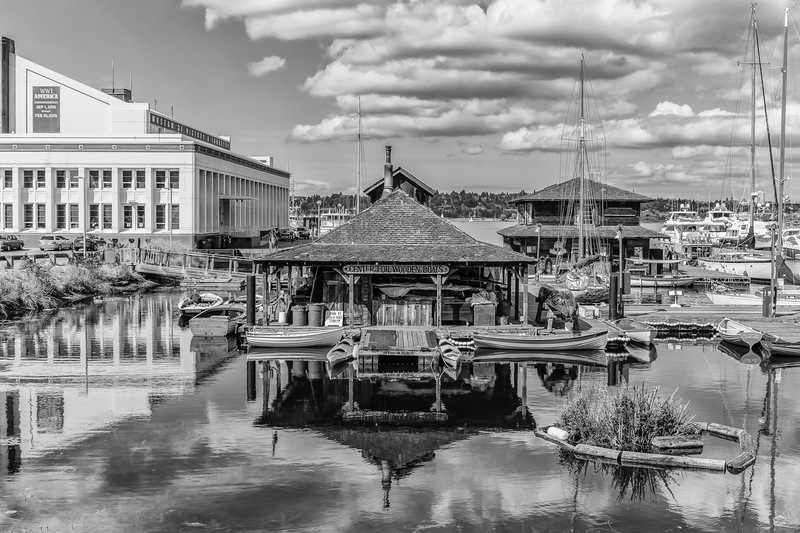 Center For Wooden Boats… Whenever we want a quick escape from the hustle and bustle of downtown Seattle, we find ourselves at Lake Union! You are still in the city, but it is much more peaceful there with the amazing lake views and interesting places to stop by like this museum which houses so many unique boats! 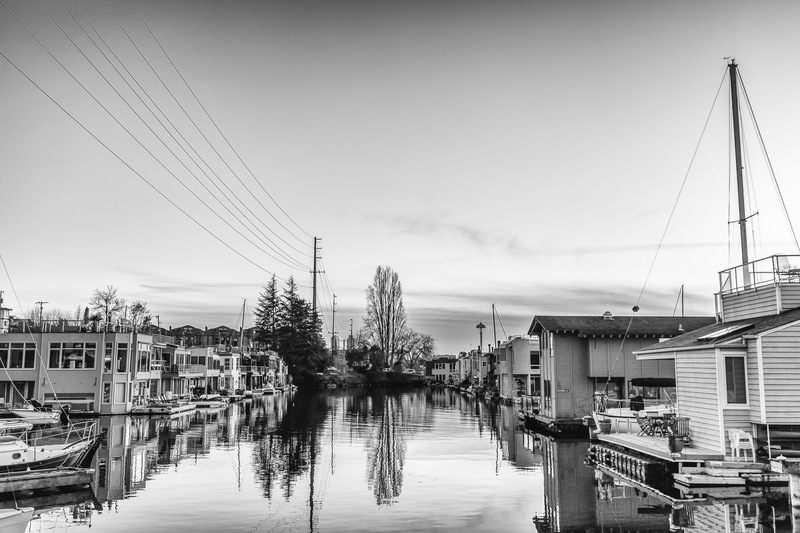 House Boats… We are in constant awe of the many house boats and floating homes in the Lake Union area of Seattle! Viewing them really makes us wonder what it would be like to live in one…pretty amazing, we imagine! 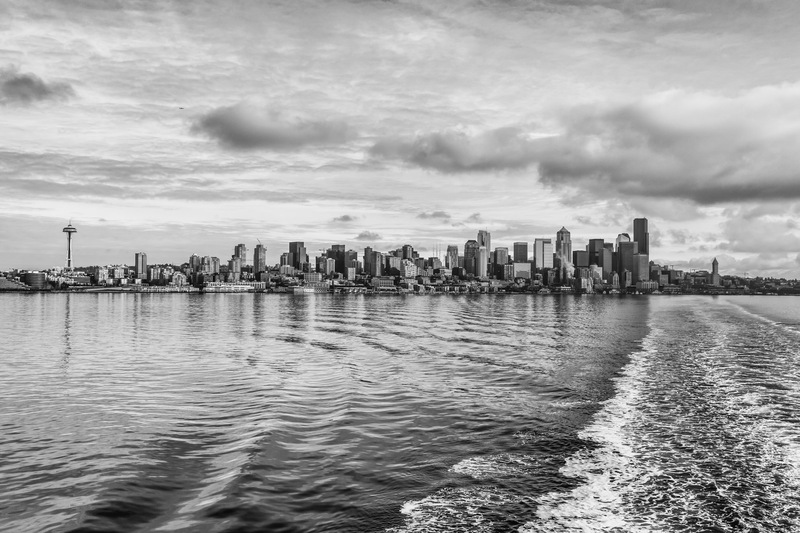 Ferry View… Here’s another view of Seattle! This time from a ferry…one of our favorite ways to travel! What do you think of these photos? 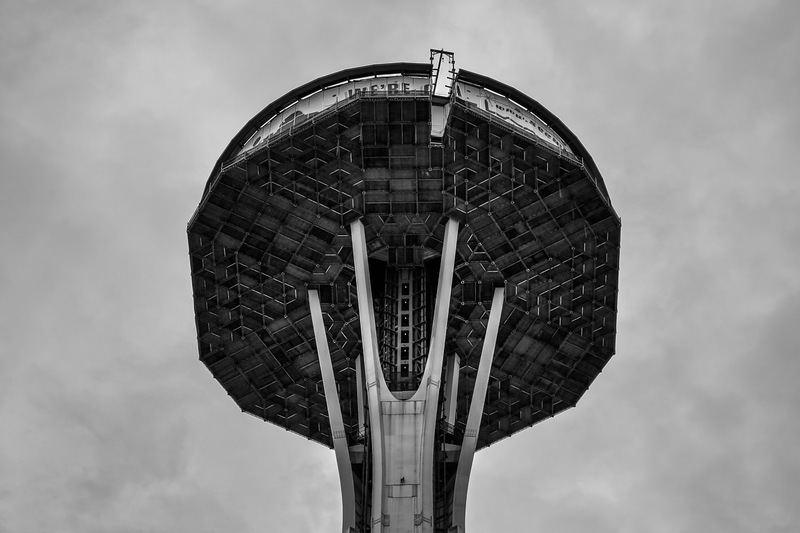 Do you prefer photos in color or black and white? Leave a comment…we would love to hear what you think!